Osmunda claytoniana interrupted fern; (flowering fern)* Osmundaceae OSCL2; Bx, pb; Q, cu; R, an, cp, ev, d, gb, h, r, sv, w; Possibly also planted in restoration sites. 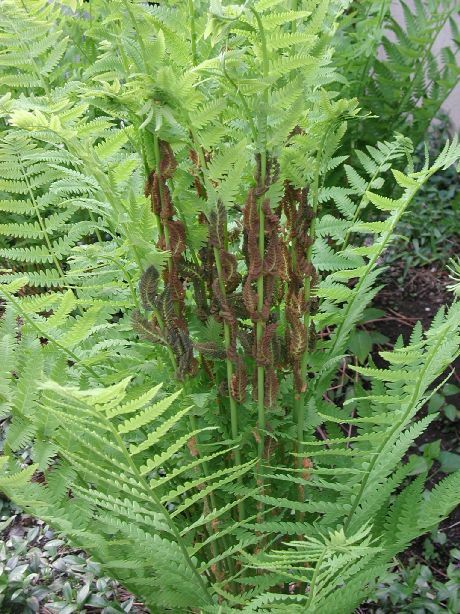 Osmunda claytoniana is a fern from the end of a stout, fibrous rhizome. Spore cases on fertile pinnae 1-5 pairs, along middle part of leaf stalk, 6 x 2 cm, much smaller than green, pinnae above and below, red-brown, soon withering. Not much used by wildlife. Habitat: Moist upland woods, sub-acid to neutral soil. Usually distinctly upland of O. cinnamomea populations. Notes: A host of the white-spored fir rust Uredinopsis osmundae (a fir-fern rust, Basidiomycotina) (Sinclair et al. 1987; Bailey et al. 1976). *Not actually flowering. 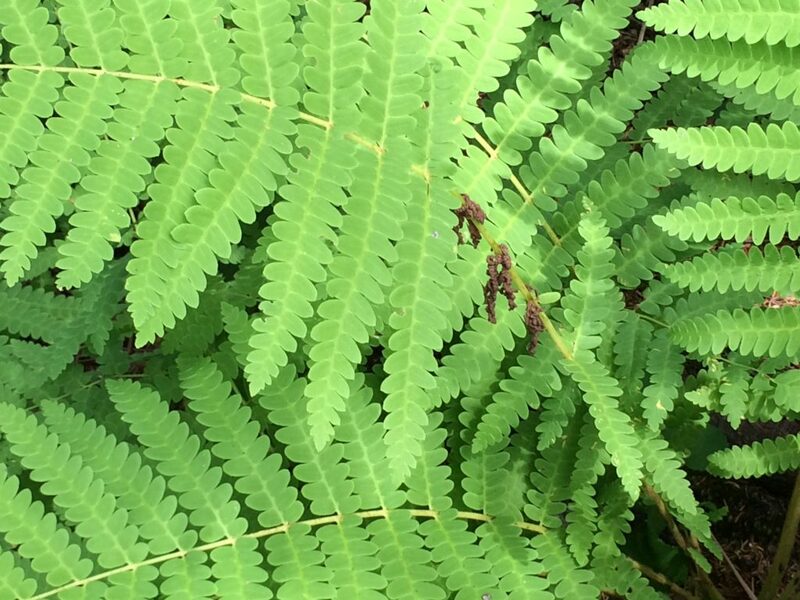 A common name for the family Osmundaceae or ferns with showy sporangia.